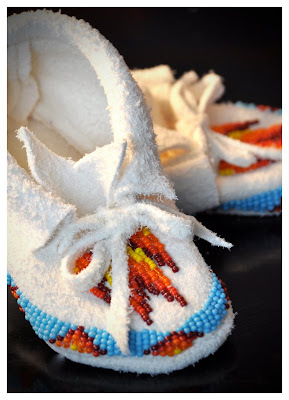 Moccasins for your Rear-View Mirror! 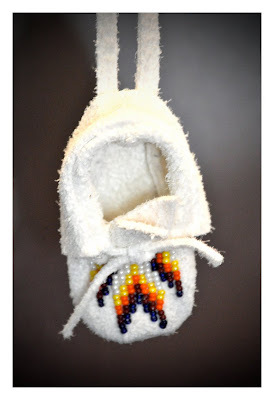 I've been busy this last week making a few new baby moccasins. These are beaded on to white commerical tanned deer hide. I think the white contrasts beautifully with the different colors and designs! 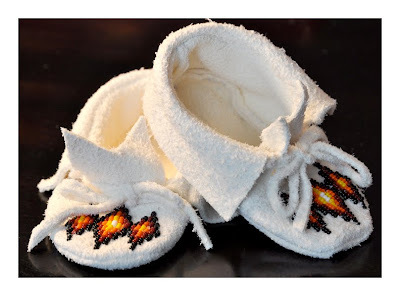 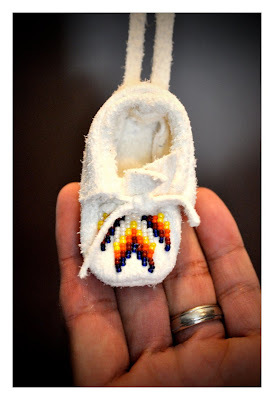 Recently, through my etsy shop, I had an order for some custom made baby moccasins. 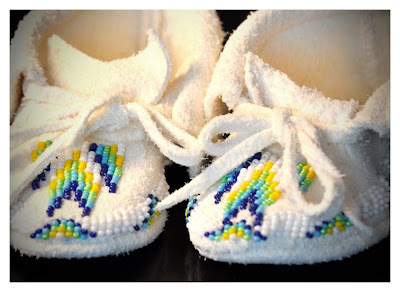 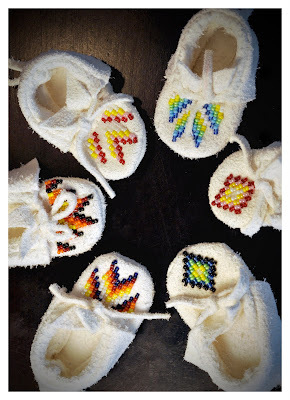 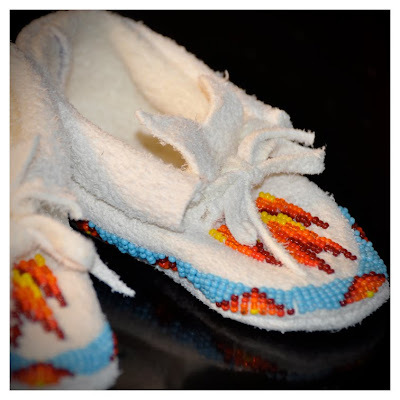 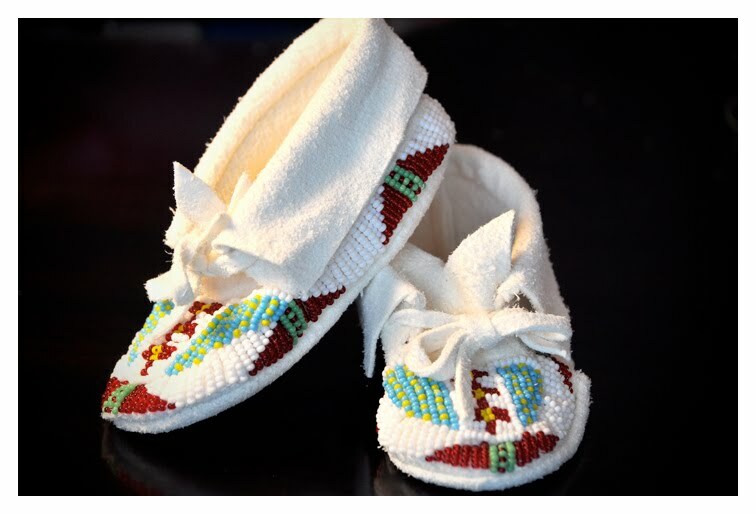 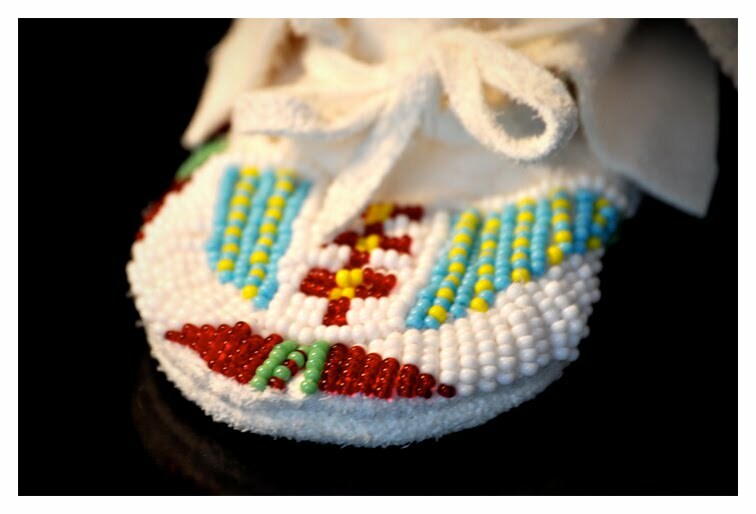 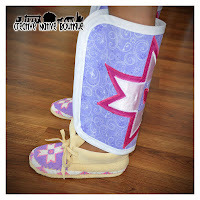 These are fully beaded baby moccasins sewn on to white deer hide with ankle fringe. 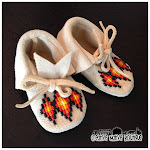 They are a Lakota Sioux design. I think they turned out great! 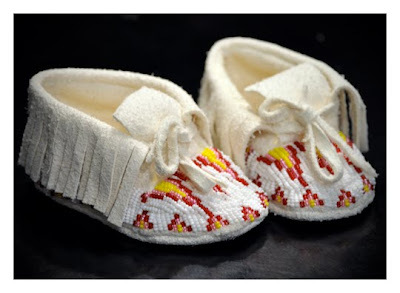 These were about a size 3. I made a new jingle dress for my little sister-in-law who turned 4 a few weeks ago. 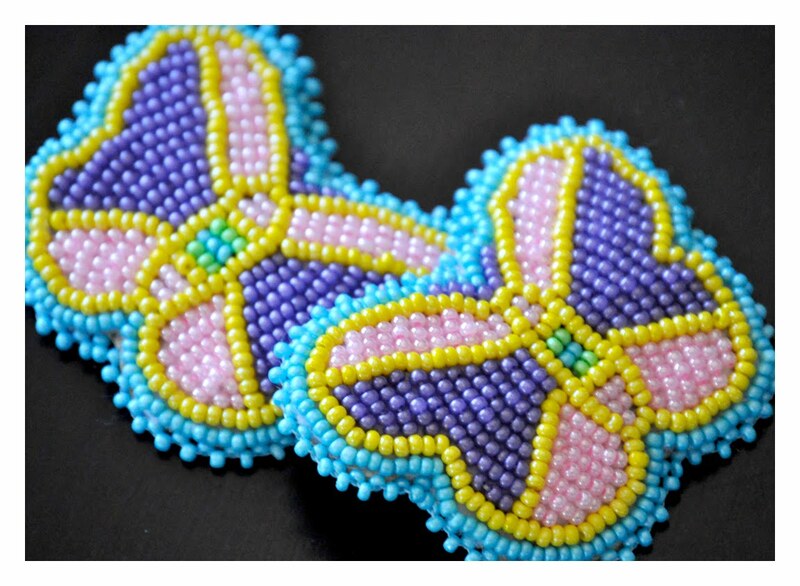 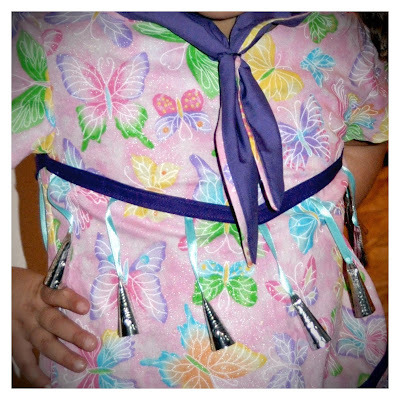 I included matching accessories--beaded butterfly barrettes, handkerchief, and leggings. 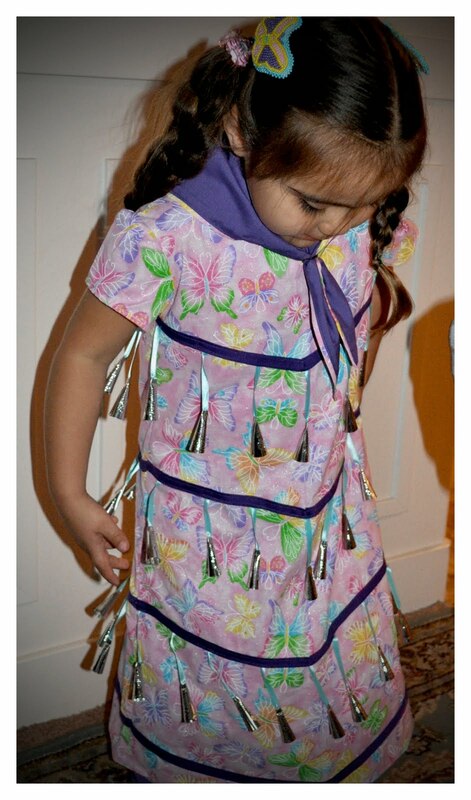 if you'd like to order a custom outfit for your little jingle dancer! 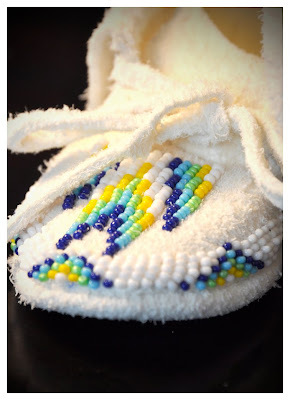 We can discuss colors, designs, etc.